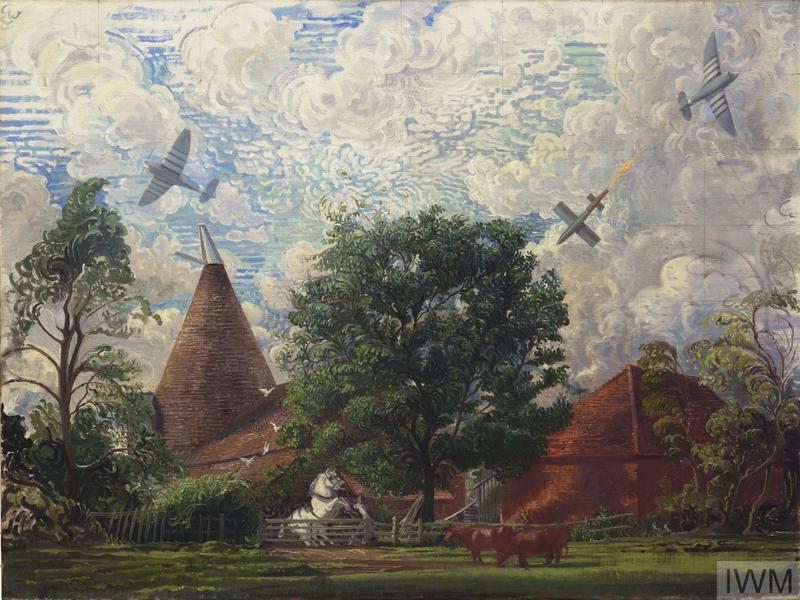 image: A squadron of low-flying Spitfires dive towards an idyllic pastoral scene with cows grazing in a tree-lined field. 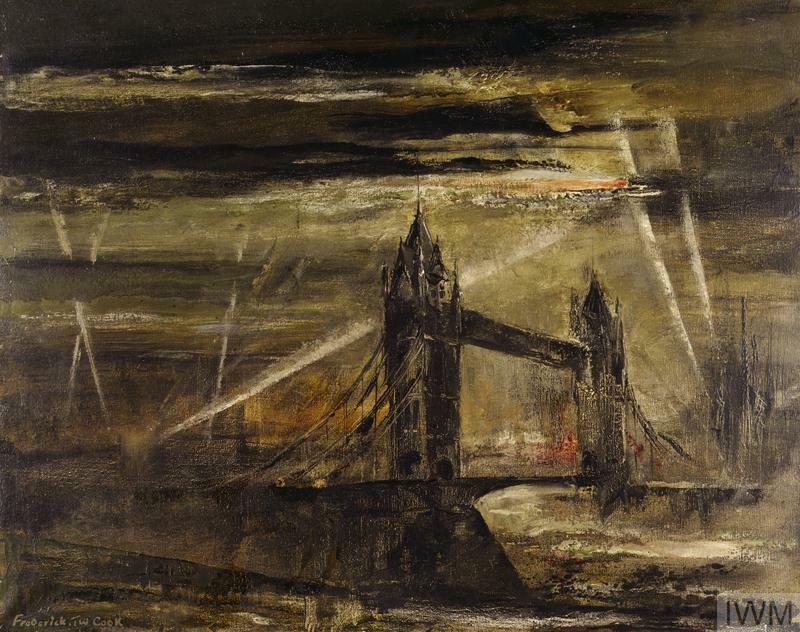 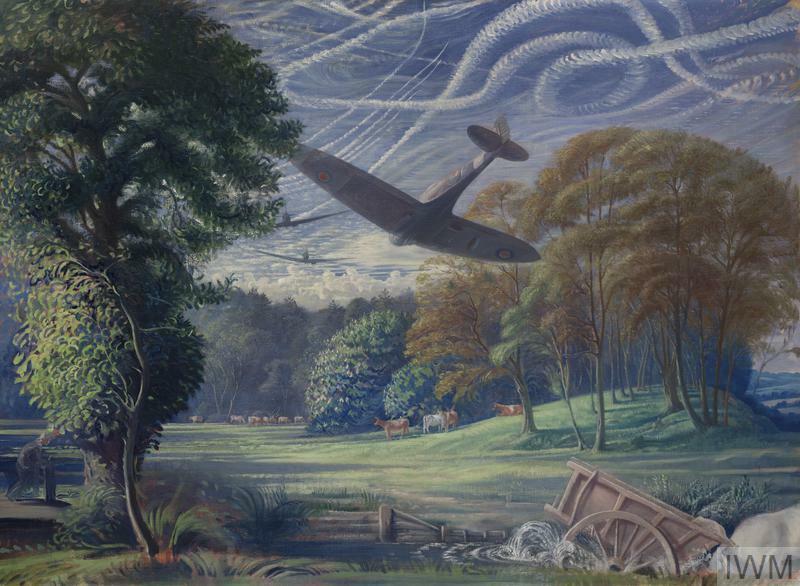 The plane's action frightens a horse causing it to pull a cart into the river, (a detail which evokes Constable's 'Haywain'). 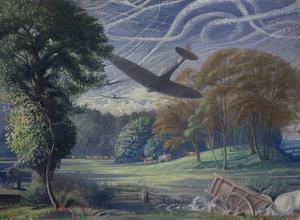 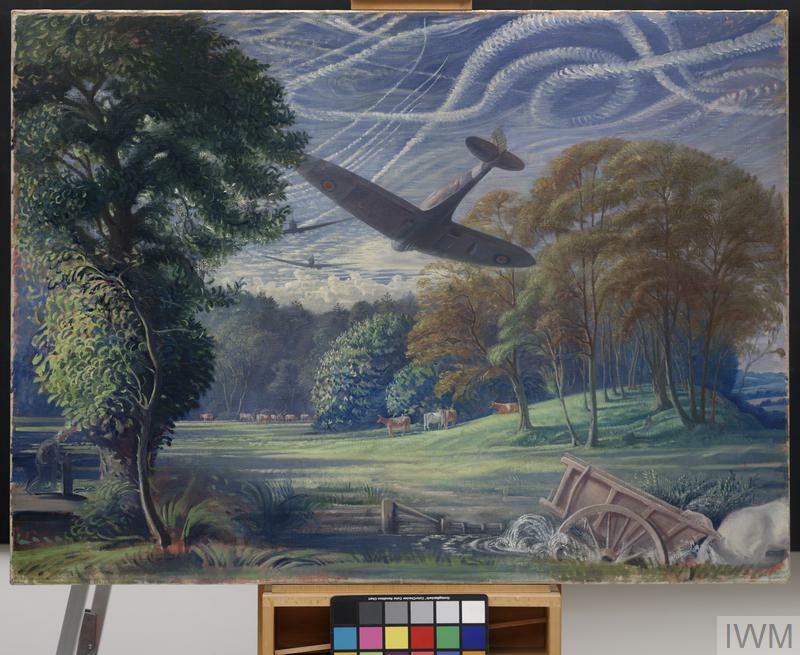 The sky is filled with the contrails of aircraft, and to the left of the composition a figure cowers under a tree.